Posted in Meta, Music and tagged desert-island-disc. Bookmark the permalink. First and foremost: for the second time in a row, no one was around except members of other bands to see Pile of Eggs perform. Their loss. These guys put on a fabulous stage show. Think Penn and Teller do noise; in-your-face physical comedy, unintelligible vocals, and the kind of antics usually only seen on trailer-park special PPV wrestling shows. They will no doubt build a huge following extremely quickly. Posted in Music, Reviews and tagged 2000s, live, noise-and-powerelectronics. Bookmark the permalink. Gives “in the weeds” a whole new meaning. One of the things about the European avant-garde literature movement in the middle of the last century that was most influential was the inversion technique. Most commonly used with mysteries, the authors would expose pieces of the mystery commonly left until the end of most novels, and then extract the mystery itself from things normally given early on in the story. 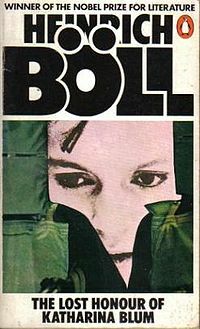 Heinrich Böll was one of the best at this game, and The Lost Honor of Katharina Blum is his best-known work of this sort. Posted in Books, Reviews and tagged 1970s, four-stars, mystery. Bookmark the permalink. One of the only memoirs ever written actually worth reading. 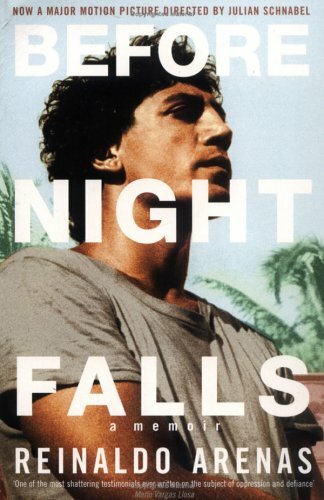 Arenas’ memoir of life in Cuba has recently been made into one of the finest films extant by Julian Schnabel. Schnabel did an excellent job with the book; while his interpretation of the text was loose in places, he managed to capture in images the style of Arenas’ writing. Posted in Books, Reviews and tagged 1990s, biography-and-memoir, four-and-a-half-stars. Bookmark the permalink. How the hell is it a “double feature” when those are two names for the same movie? I don’t know why I keep watching Mario Bava movies. I’ve seen all of those that people have recommended to me over and over again and found them anywhere from mediocre (Bay of Blood) to utterly unwatchable (Black Sunday). And yet so many people I know are so taken with Bava’s movies that I keep trying. I don’t do that with Woody Allen or Godard, so what is it about Bava? That said, I may have finally found the movie that will put me off him forever, Lisa e il Diavolo. Incoherent, rambling, badly-paced, and one of the largest wastes of A-list talent I have ever experienced, this movie would be best-served with the piquant odor of burning celluloid. Posted in Movies, Reviews and tagged 1970s, half-a-star, thriller. Bookmark the permalink. At funtrivia.com, one of the (many) ways a quiz can go from a relatively high ranking to “very poor” between the time I start and the time I finish is a factual error that causes me to get a question wrong. Research is a beautiful thing. 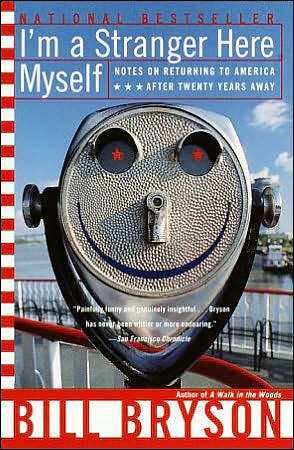 Half of me is willing to give Bill Bryson the benefit of the doubt; the other half is ready to excoriate him on what may be a false impression. I’ll attempt to keep it reserved. Posted in Books, Reviews and tagged 1990s, essays, travel, two-stars. Bookmark the permalink.